Joie "Rayson" linen tank top. For in-store inquiries, use sku #2555247. 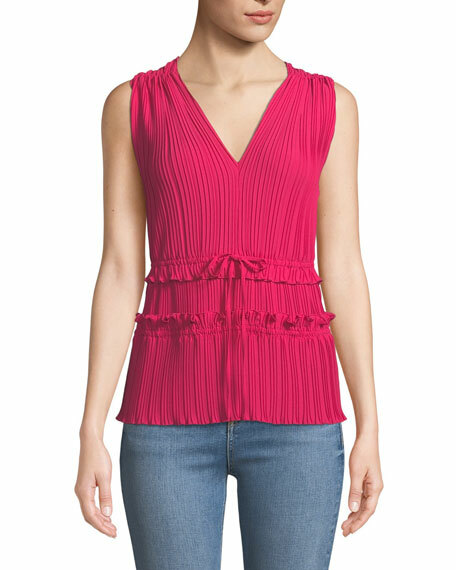 3.1 Phillip Lim plisse tank top with gathered details and ruffles. Approx. 21"L down center back. V neckline and back. Sleeveless. Drawstring tie at waist. Polyester. Dry clean. 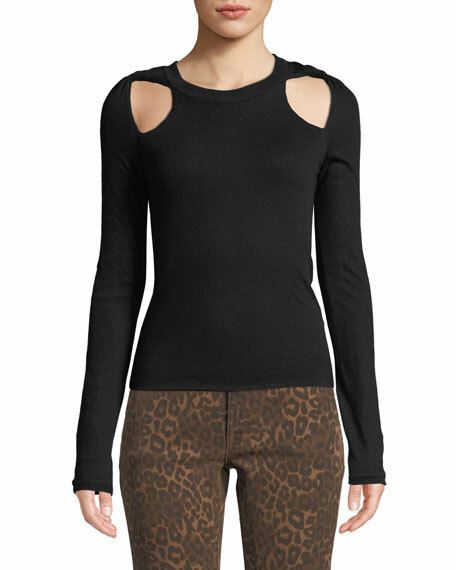 T by Alexander Wang sweater with twisted details at shoulders. Crew neckline. Front & back cutouts. Long sleeves. Fitted silhouette. Pullover style. Cotton. Hand wash. Imported. 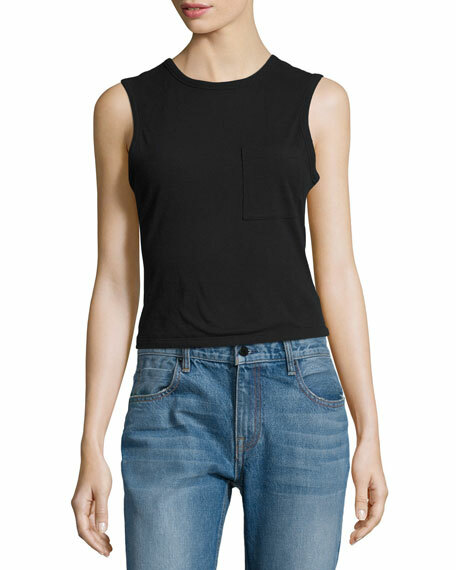 T by Alexander Wang jersey tee with keyhole front. Crew neckline. Short sleeves. Slim silhouette. Cropped hem. Pullover style. Cotton. Imported.